The 12th of September I will go to Holland and the 16th of October I will go and work in a Christian Mission Hospital in Indonesia. On the picture above you can see how we are recording the video programs. The theme of the programs is “Signs and Wonders”. For the most part guests are invited to give their testimony. Then inside the van we record everything, and this time I am the film director. That means that I need to mix 4 cameras and keep the sound volume under a certain level. Also I need to keep a close watch on the lighting, and adjust the cameras while filming that when clouds come and go that the faces won’t appear too dark or too bright. This year we had the summer conference in the tent again. On the picture to the left we are setting up the tent. 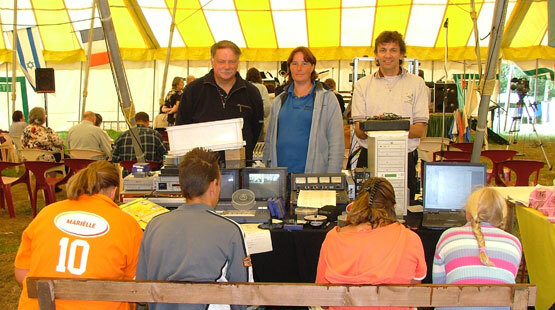 On the picture to the right I am with Teun and his family in the big tent. They are from Holland, and have been here several summers to film the conference. They are volunteers and are sent out by Geertje van den Broeke of “Stichting Film Evangelisatie Nederland”. They have a special calling to reach the French speaking people with the Gospel of Jesus Christ through TV. The presence of Geertje and her team at the conference of 2003 has caused that the video ministry here has started. 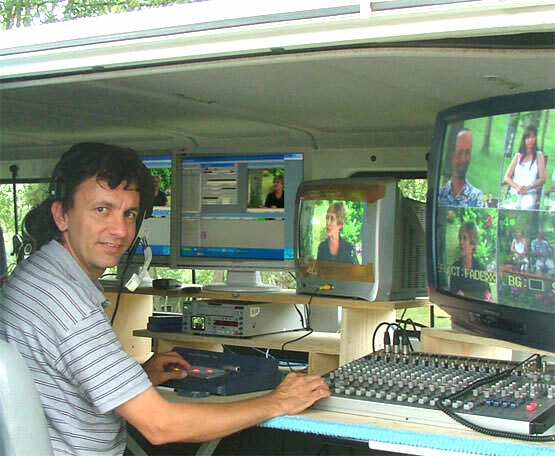 Since 2004 we can now produce our own video programs for satellite TV. Teun has taught our team a lot more this time how to film and edit in a better way. 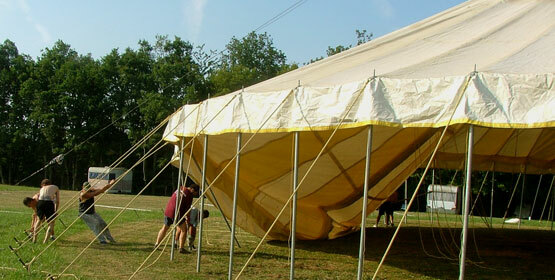 See; www.ImpactDuPleinEvangile.com for more pictures of the 2006 conference in the tent in Panassac France. In October I will go and work in the Christian Mission Hospital in Indonesia on the island Borneo. 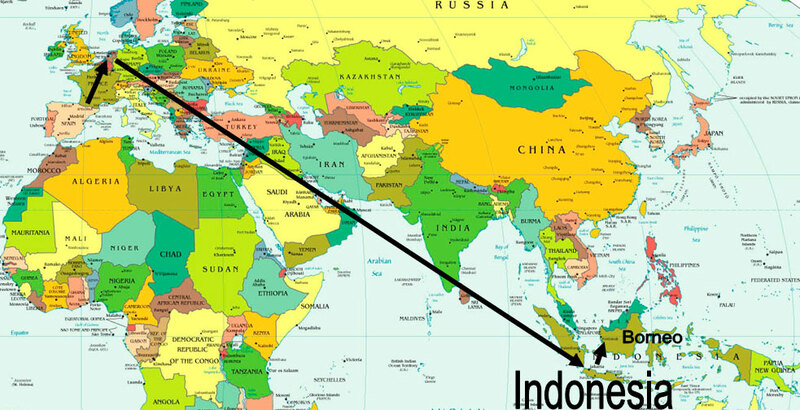 On the 16th of October I will fly from Amsterdam to Jakarta on the island of Java, and then take a next flight to Pontianak on the island Borneo, where I will be picked up and then it is a 4 hour drive through the tropical rain forest to the hospital. 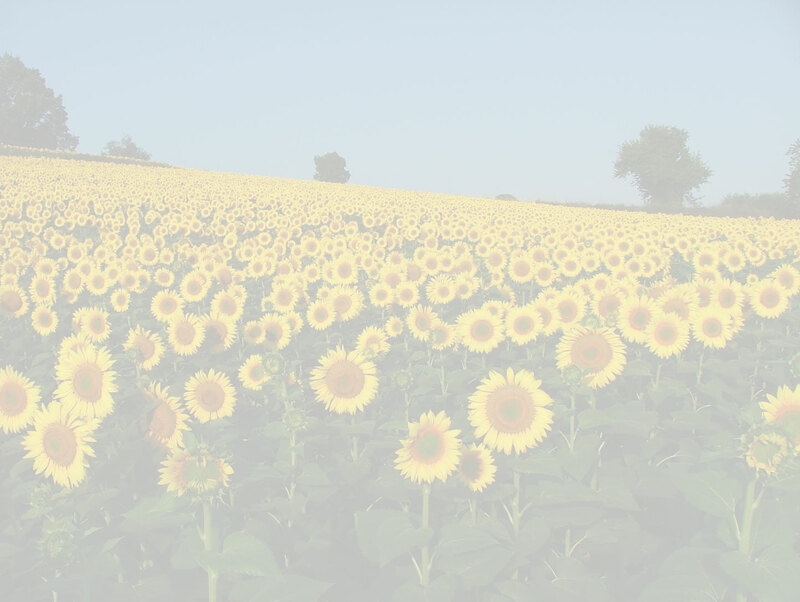 I will stay there for 6 months, there is also some time for language study included. I am looking forward to go there. I pray that God will provide in the extra costs I will have, I need to prepare myself medically with vaccinations and malaria pills. My job there will be in the technical area, first of all the water pipes need cleaning. There are 260 workers there, and there are thousands of patients per year whom come for medical help, and hearing the Gospel this way. 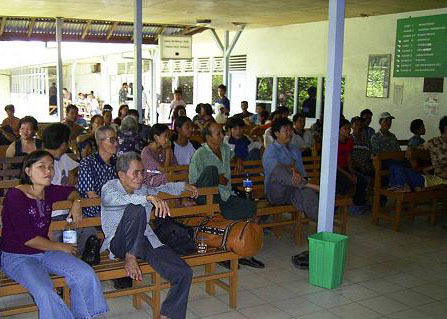 See; www.BorneoHospital.com Do you want to help me help others? Support Missions. On the 13th of September I will be 44 years old and I would love to celebrate it on Saturday the 16th of September. You can come by whenever you want between 12:00 en 21:00 hours at my parents’ home at the Buitenhof 33 in Swifterbant Flevoland Holland. Call or Email me if you plan to come, so we make sure there is enough food. For a birthday present I would love to get a digital projector for my laptop for missions’ presentations. Jesus says; Mark 1:15b Repent, and believe the Gospel. Mark 16:15 Go ye into all the world, and preach the Gospel to every creature.